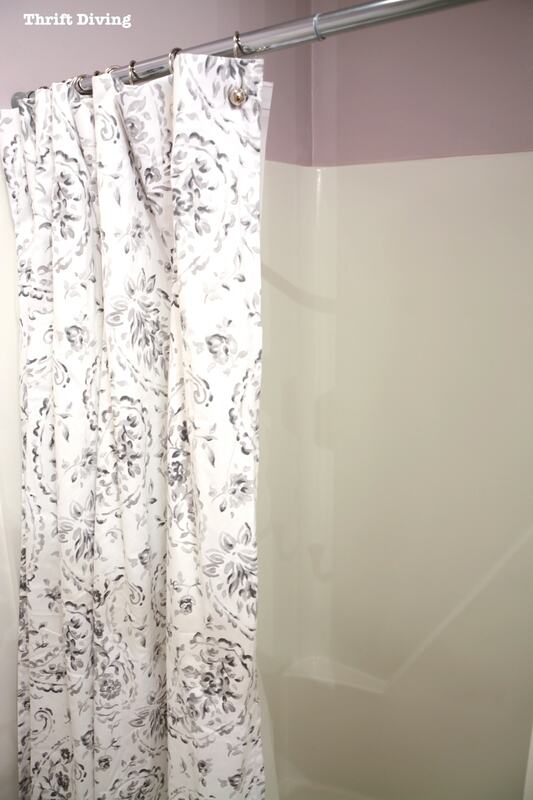 This tutorial on Shower and Tub Refinishing: How I Painted My Old 1970’s Shower is brought to you by Bath-Works.net, but this Bath-Works Review is all my opinion and project. 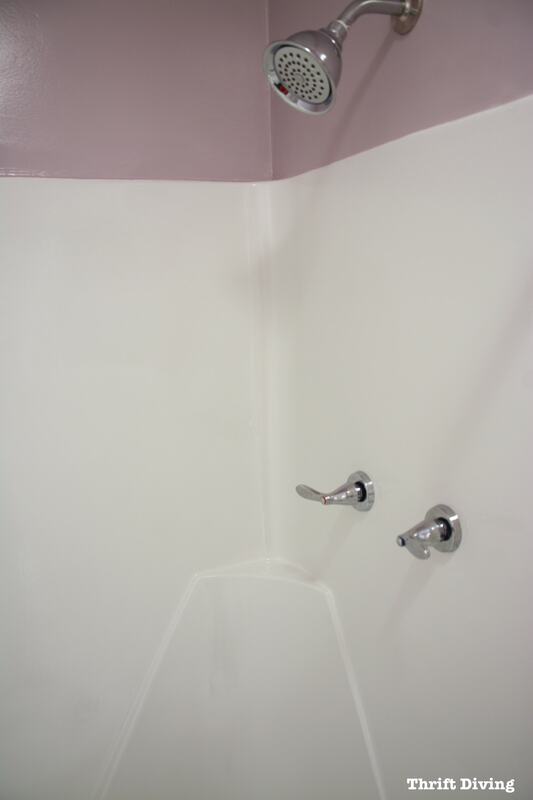 When we moved into this old 1973 home six years ago, shower and tub refinishing was the furthest thing from my mind. I was simply happy to double our square footage, get an awesome backyard, and live in a neighborhood where parents actually participated in school functions. But there were other questions I should have asked before buying a house. Such as “How much time will you have to update this house?” because people fail to tell you that you’ll spend years fixing up and upgrading all the ugly crap inside of the home. And you’ll likely do it yourself because you’ll never be able to afford professionals to come and do it for you. At least, it was for us. 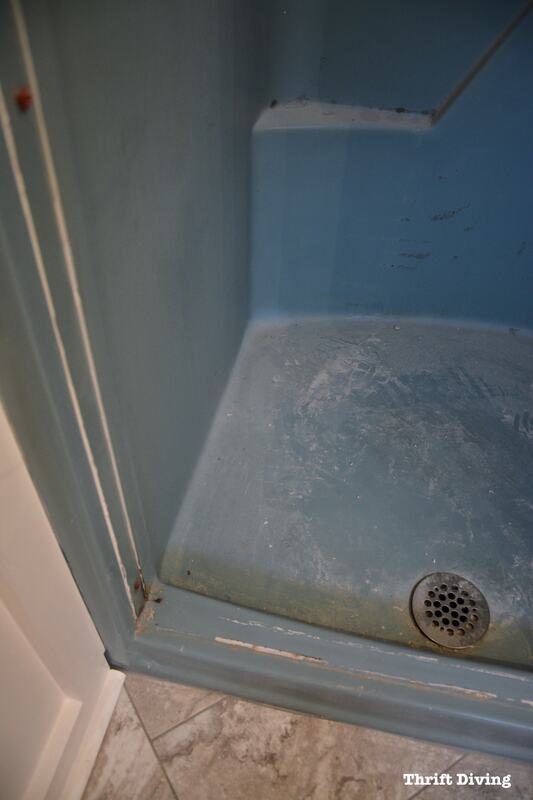 Take this old 1970’s turquoise shower, for example. 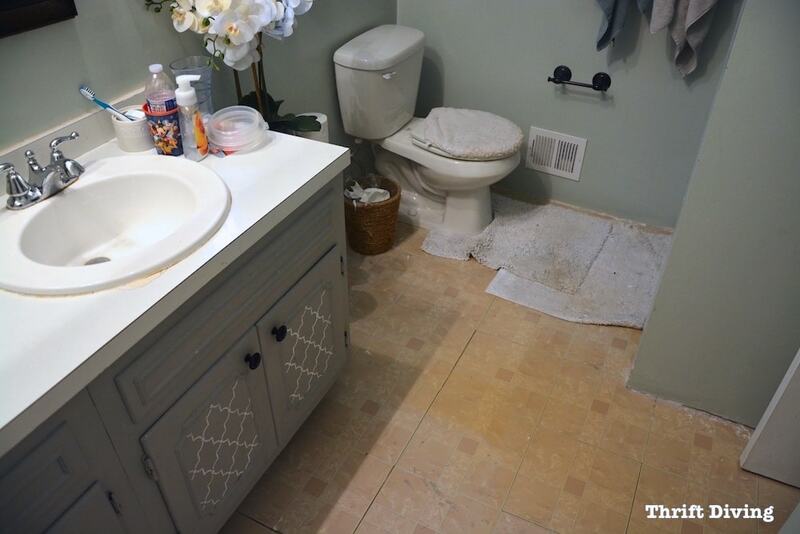 As ugly as it was, replacing it with tile and seamless glass show door wasn’t an option at a tune of $4,000 – $6,000. I mean, who has that kind of money?? We surely didn’t when we moved in back in 2010, and we still don’t have that kind of loot to sink into prettying up our home. 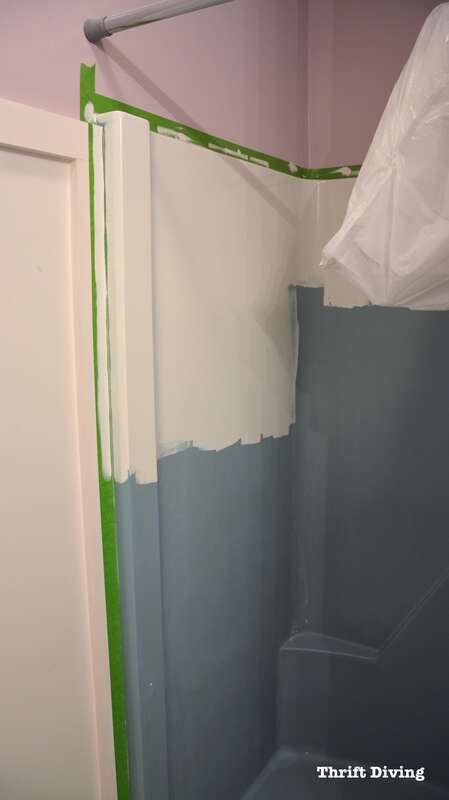 So over the years, I kept the shower hidden behind ugly, brassy, old shower stall door and even went as far as to pick a paint color (Sherwin Williams Sea Salt) that complimented the turquoise so it didn’t stick out like a sore thumb. 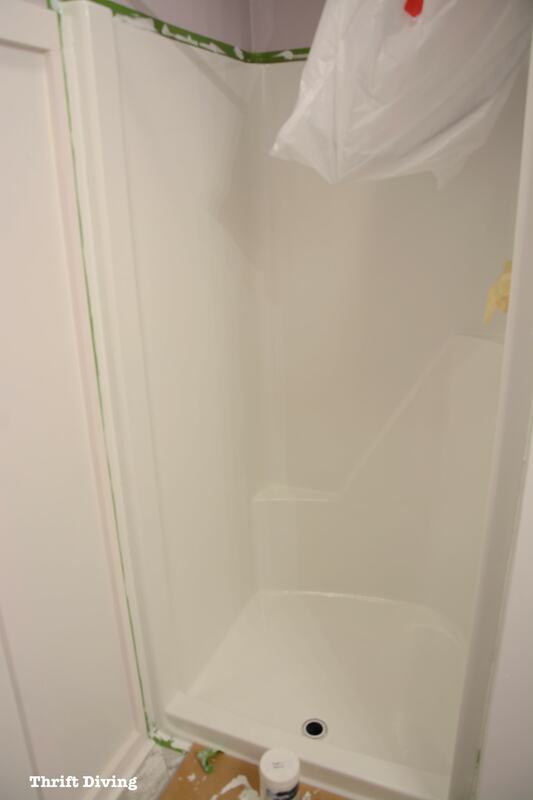 It never occurred to me to refinish the shower. 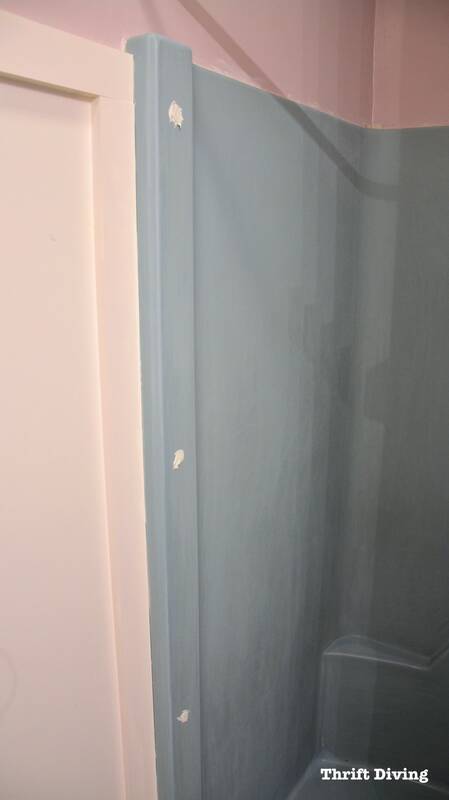 And if the thought ever crossed my mind to paint the shower, I had horrific visions of long strips of paint peeling off, leaving the shower an even bigger mess than where it started. 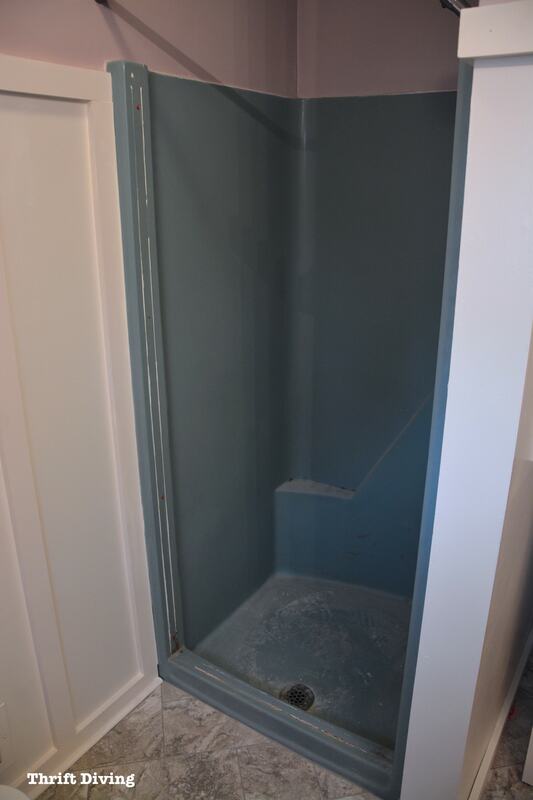 I jump in with two feet on this DIY shower painting project, and I’m happy to report that after “putting up” with an ugly shower for years, I’ve just successfully painted my ugly, 1970’s turquoise shower! 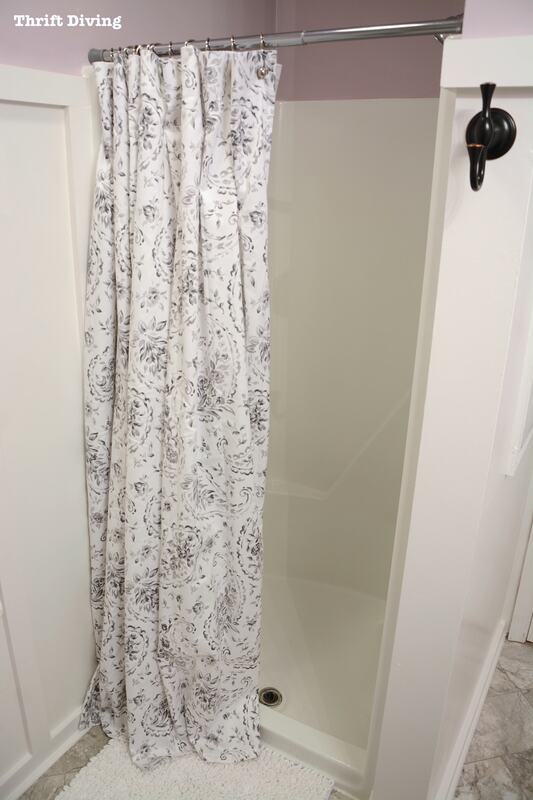 Doesn’t it look absolutely fabulous, like a whole new shower??? The entire bathroom got a makeover. It needed it badly! How to Install a Toilet, No Plumbers Needed! Let’s jump right into this tutorial because there are a lot of steps involved, so we have a lot to cover! Time involved: Give yourself about a day to do this. It won’t take you much longer than that. But you will need to let it thoroughly dry about 24-48 hours before you use the shower. No time to swipe through the whole post? Just click to skip around! 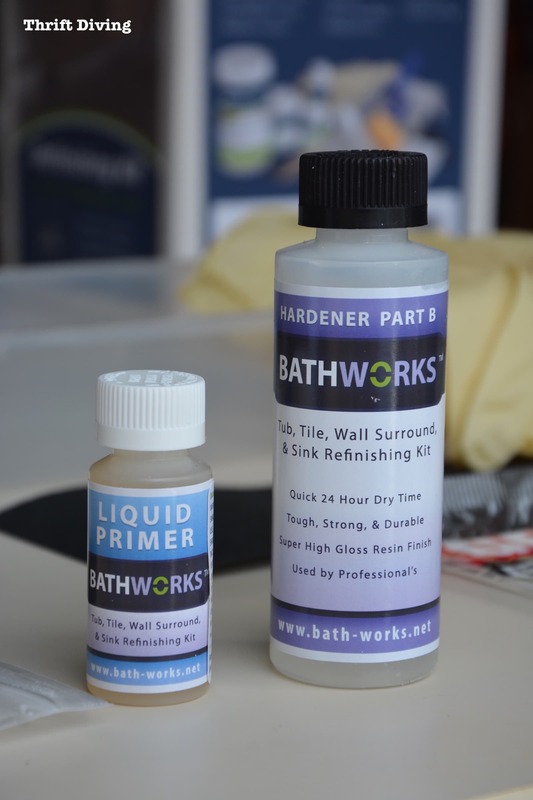 For this project, I was testing out the BathWorks DIY Bathtub Refinishing Kit, which they sent to me for my bathroom makeover. It came with everything inside of it that I needed for the shower makeover. 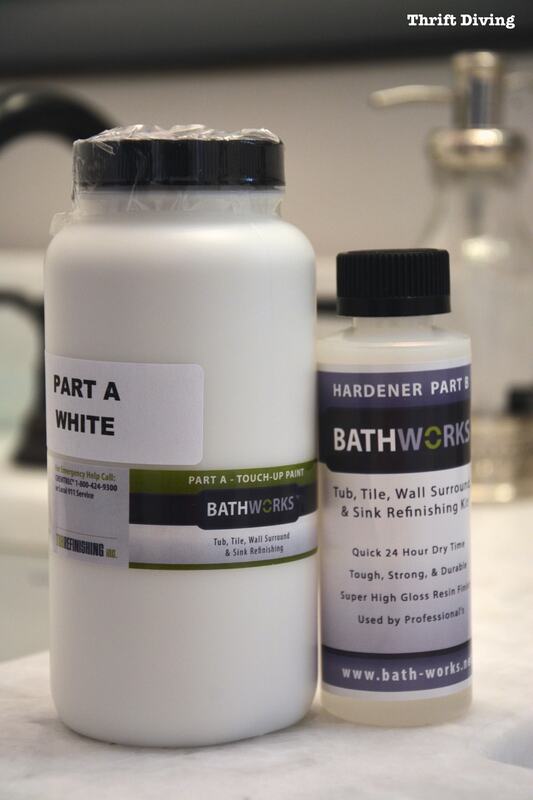 BathWorks is a commercial-grade resin that works better than epoxy, is more durable, and lasts longer (click here to read why). 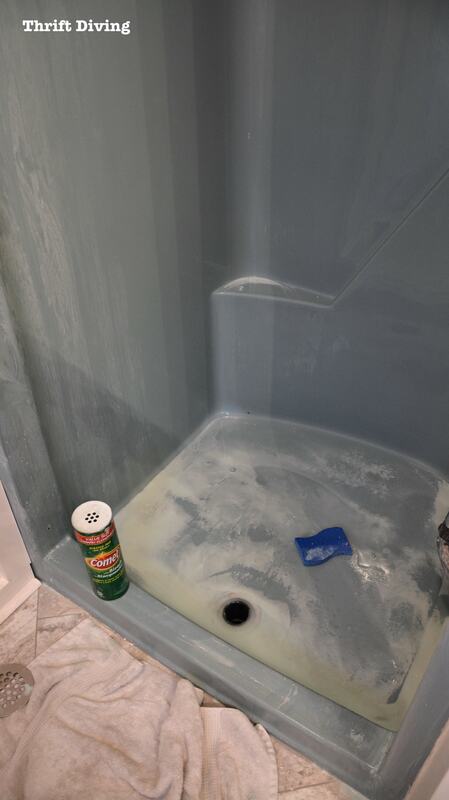 This is the same product that their professional shower and tub refinishers use in hotels and for residential showers and tub refinishing projects. 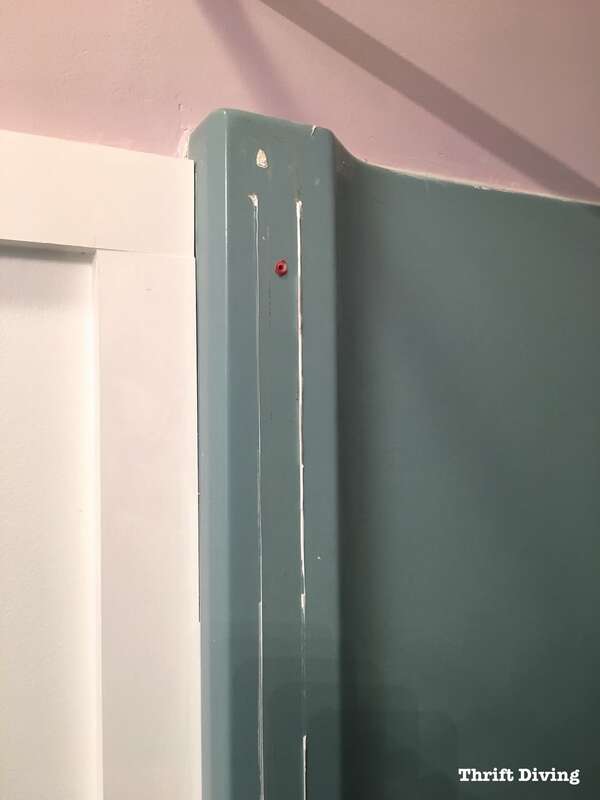 My shower was in good condition–it just wasn’t the right color. It’s easy for people to order directly from BathWorks or order from Amazon. 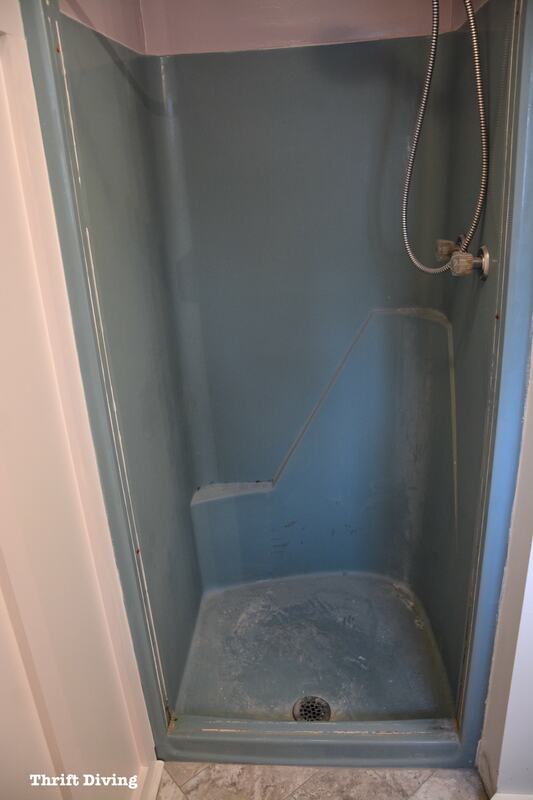 I couldn’t wait to find out how my turquoise 70’s shower would look after I was done. 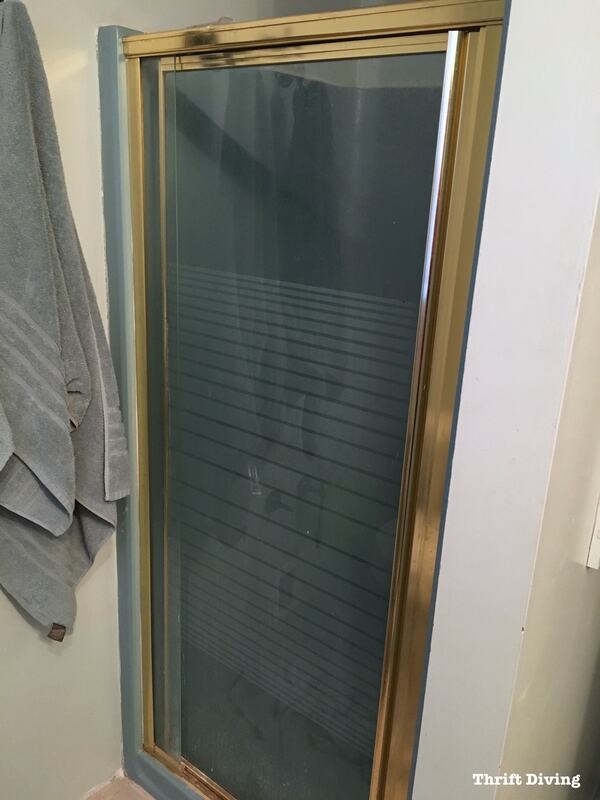 My shower came with this horrible, brassy, shower door and frame. It had to be removed. Just unscrew along the top and along the frame. Use an extra pair of hands so it doesn’t fall on you! 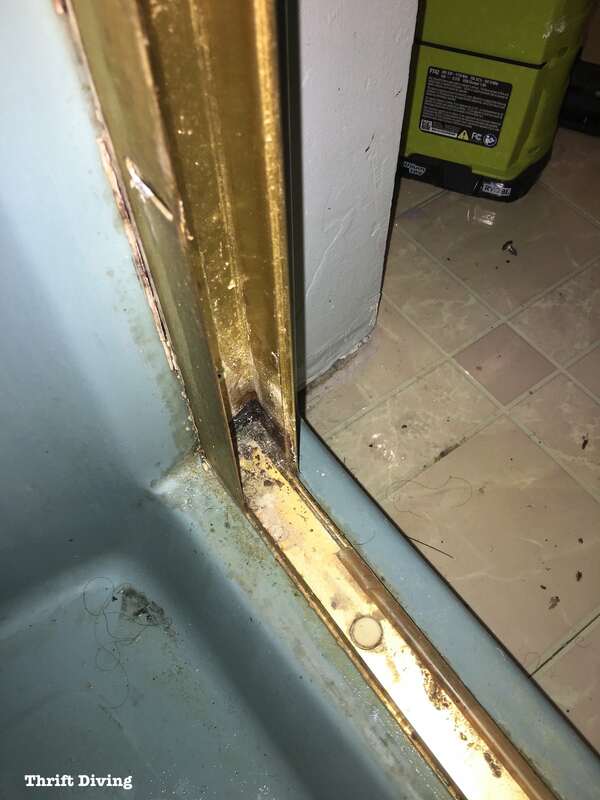 You will find disgusting gunk up underneath of your shower frame! I’m almost embarrassed to show you how gross it was. 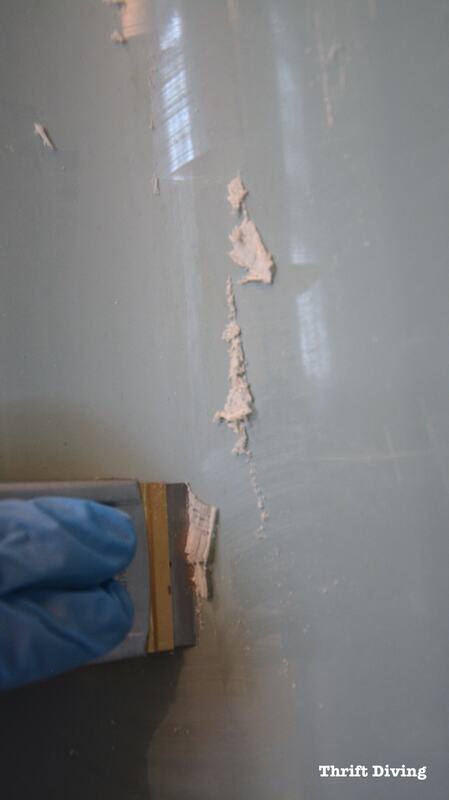 You’ll probably have caulk along the shower or tub, or along the shower door. 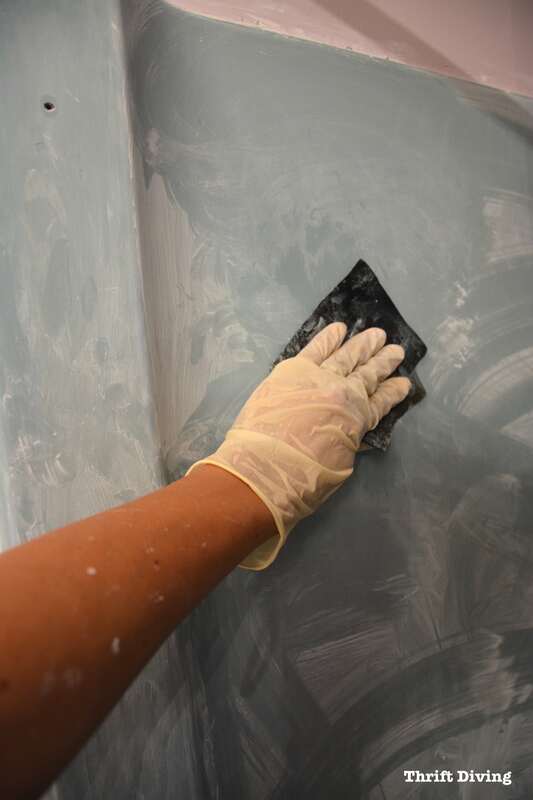 All of this must come off before you can refinish your shower or tub. The paint won’t stick to this. 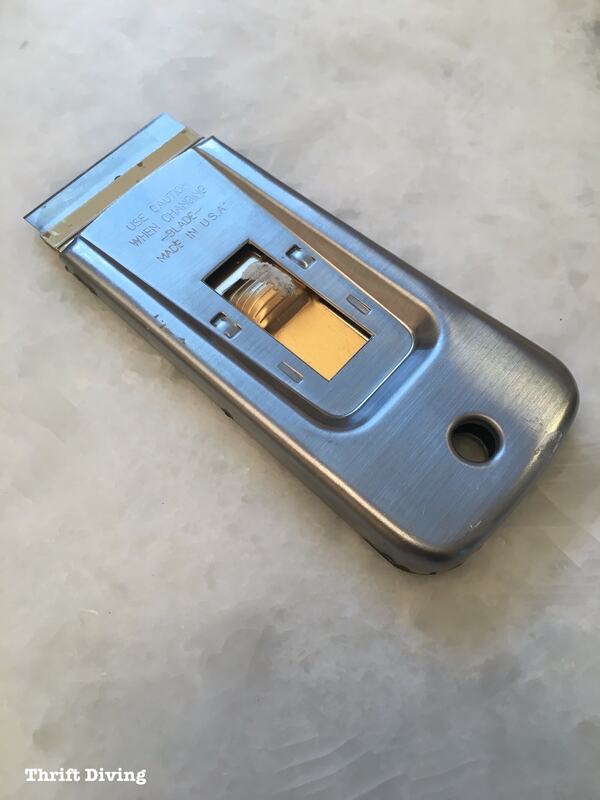 The easiest way to remove caulk from the shower or tub is with a razor blade scraper tool like this, with a razor blade inside, or with a knife. Just be super careful you don’t cut yourself! At this time you’ll want to remove the HOT and COLD fixtures, or the downspout, too. With a screwdriver, you should be able to easily remove them. Do you want the new paint the stick? 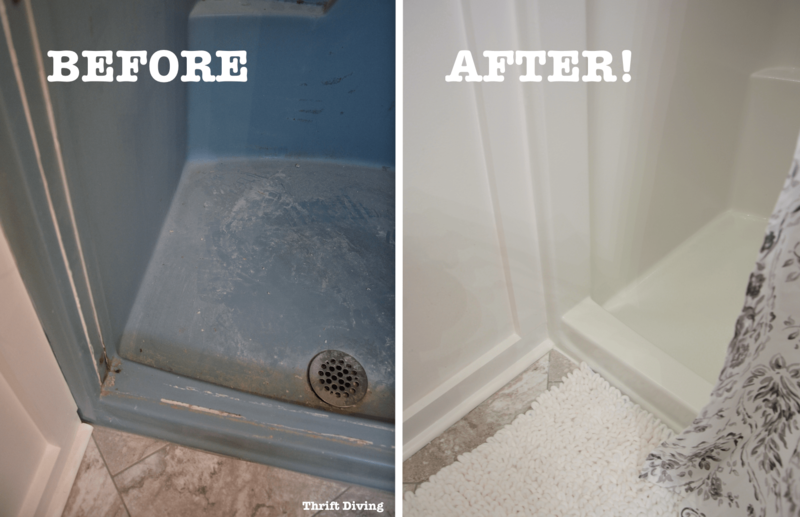 Well, the success of your newly painted shower to tub will depend on how clean you can get your shower. 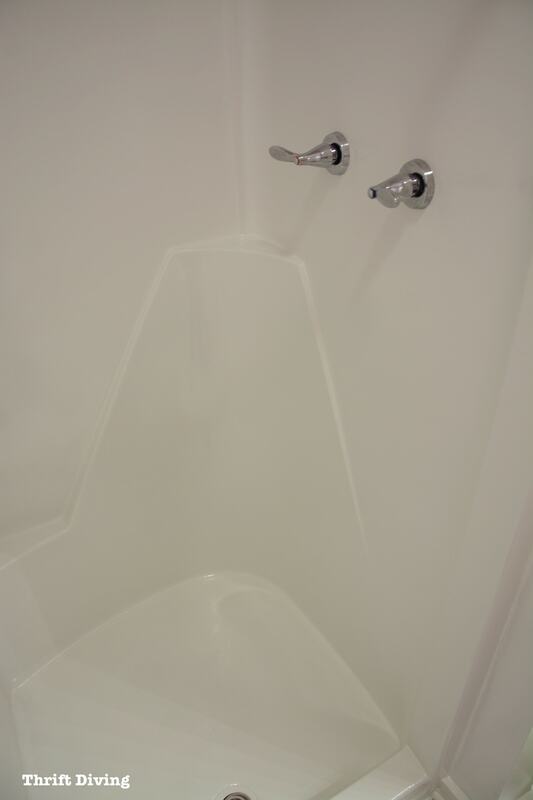 But here’s what I did first: I used the razor blade scraper and shaved my tub. There was a lot of soap scum on the walls that I couldn’t see. I figured it was easier to shave my shower first and then scrub it down with Comet. The instructions tell you to use a razor scraper after the tub is clean, to ensure there is no soap scum left. But for me, removing the soap scum first worked best. Once shaved, I then used Comet and a textured sponge to clean it. Make sure you rinse it several times to remove all of the Comet. After everything was rinsed and clean, I used the razor scraper again to make sure that the shower didn’t have any left-over gunk on the walls. Now that the shower or tub is totally clean, it’s time to sand. 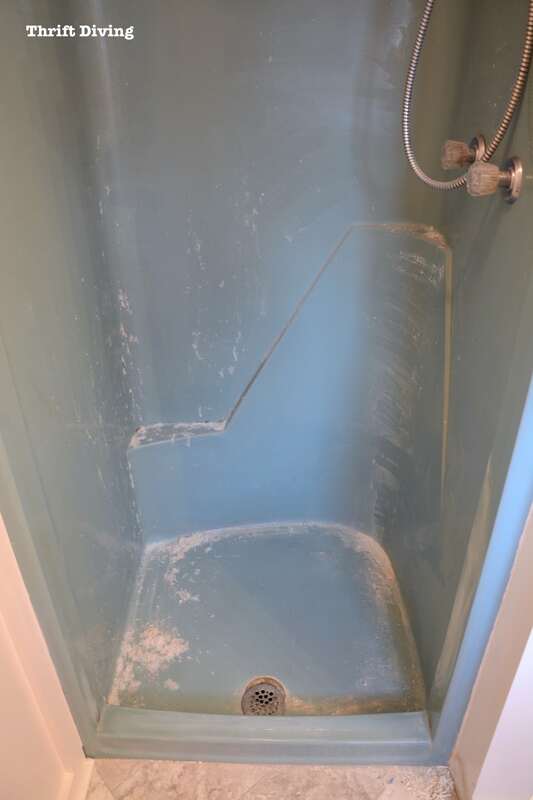 The instructions say to take the sandpaper that comes with the kit, and while the shower or tub is still a little wet, go ahead and sand it down. 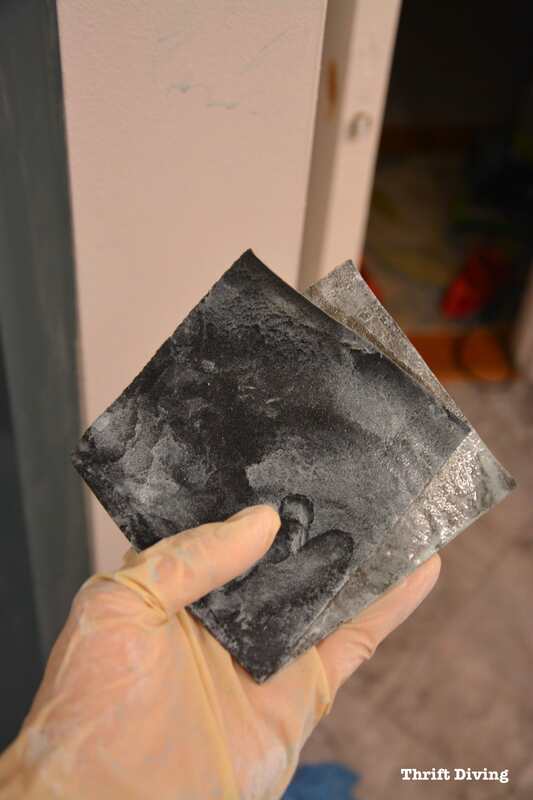 The bathtub refinishing kit comes with some pretty resilient sandpaper. I found that my shower dried very quickly, so I made it a point to dip my sandpaper in a bit of water, which helped to control the dust. (Be sure to wear a mask!). 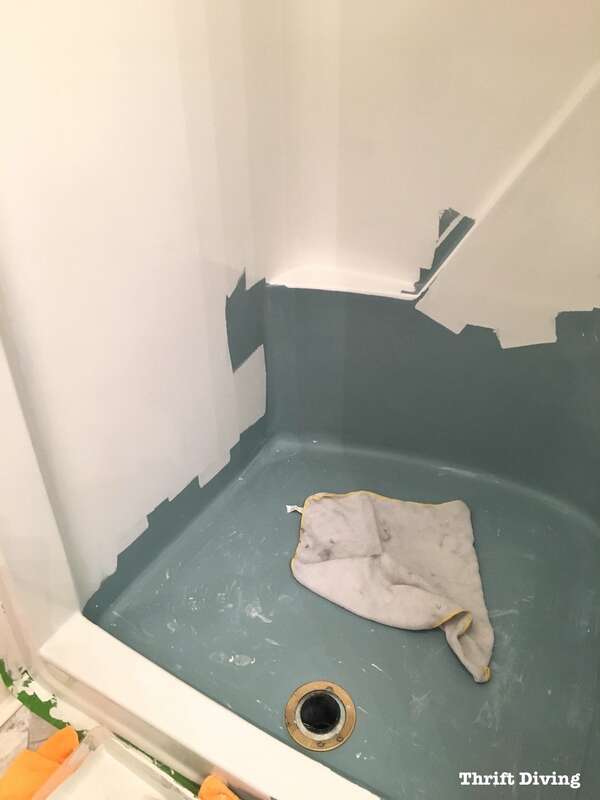 This is the part where you want to spend a lot of time sanding the shower or tub because you want that surface nice and roughed up the liquid primer and paint that’s about to be applied. The 120-grit sandpaper held up nicely despite the repeated wetting and sanding. Once I washed away all the dust, I realized that there were some spots that I didn’t get very well. So I actually went back over the shower using my orbit sander, making sure that I didn’t miss any spots. Just a warning here: this stuff really stinks. Do yourself a favor and wear a mask! 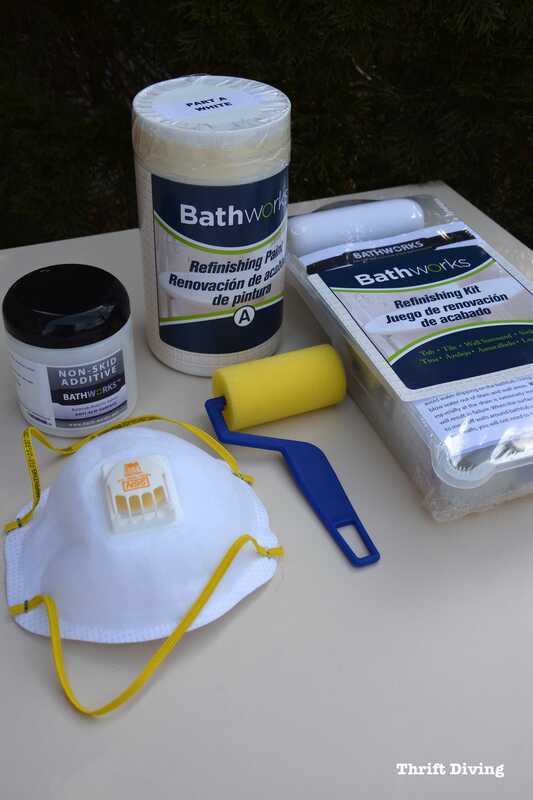 The BathWorks Refinishing Kit comes with a paper mask, but trust me–the smell of all the chemicals will make you sick with a small paper mask. Invest in a 3M respiratory mask to block much of the odors so you can work uninterrupted. 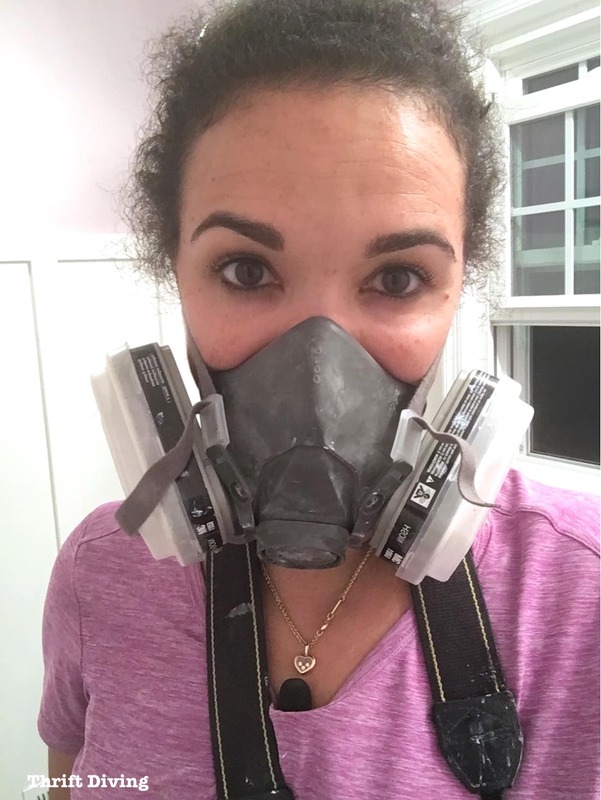 These types of masks are awesome to have for doing spray paint projects around the house, along with general sanding, so you will definitely get your money’s worth by having this in your DIY toolbox. Be sure to bring fresh air into the bathroom with a fan, run your bathroom exhaust fan, and keep the window open. The instructions say to use the etching cleaner before sanding, but I accidentally sanded first and then used the etching cleaner. But my results were okay, despite the slight mix-up. Once cleaned with the Etching Cleaner, I rinsed it thoroughly away. Sorry, dear, you’ve got to fill those. 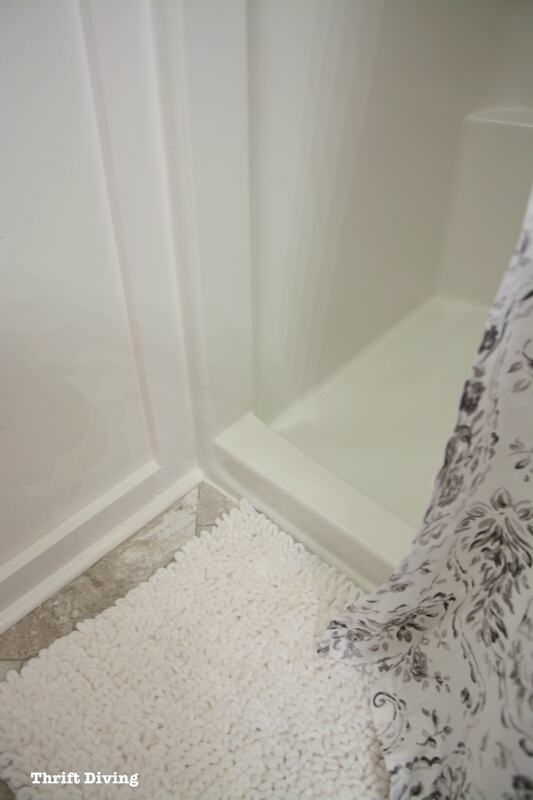 Now that the shower is all sanded, rinsed, and smooth, you should fill any holes or chips in your shower or tub. 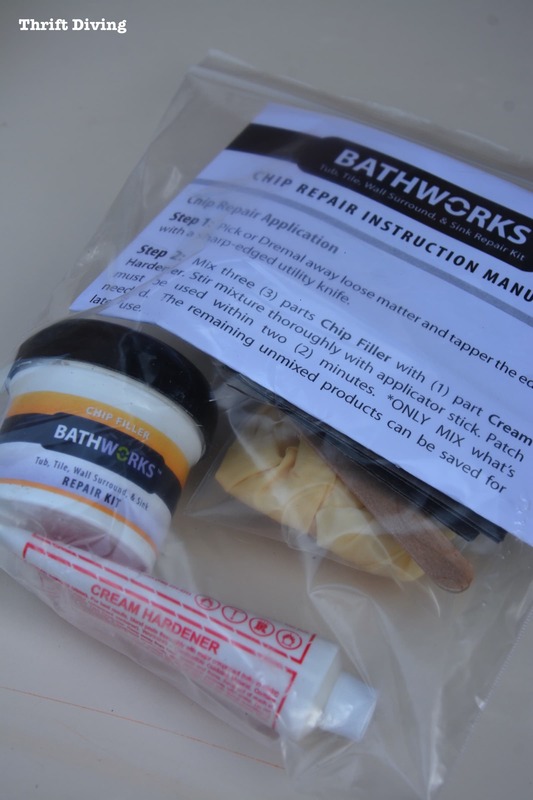 BathWorks sells a Chip Repair Kit that you mix together to fill the holes. Thankfully, BathWorks also sent me one of these kits, too. When applying the chip filler, slather it on just like this. Don’t worry about it looking perfect. 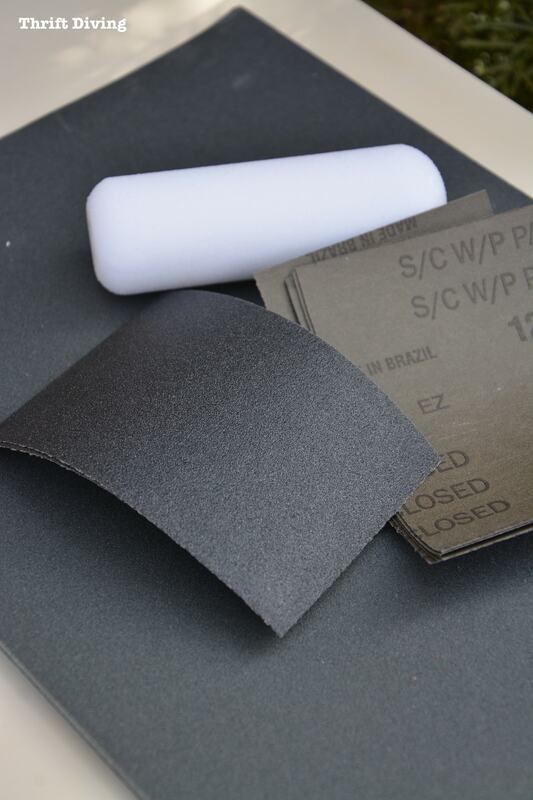 Because when it dries, you’ll simply sand it smooth with the sandpaper that comes in the kit. 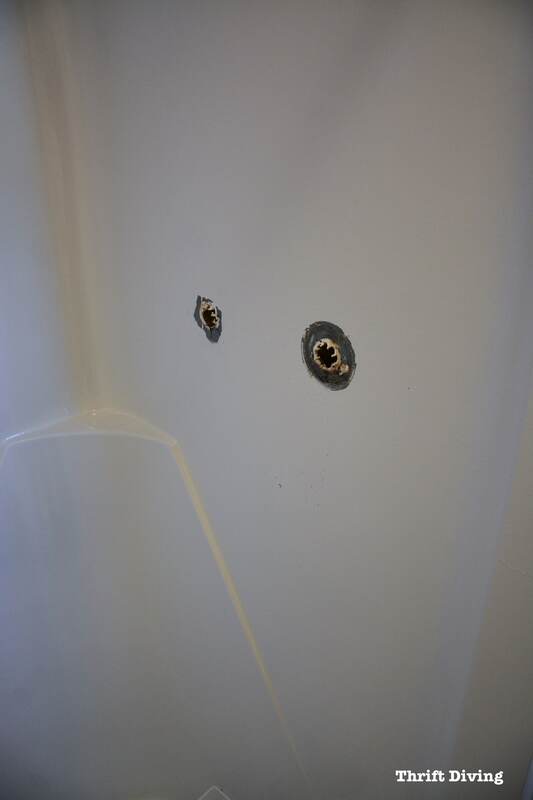 I had several holes on each side where the shower door had been attached. Each hole was filled and sanded smooth after it dried. 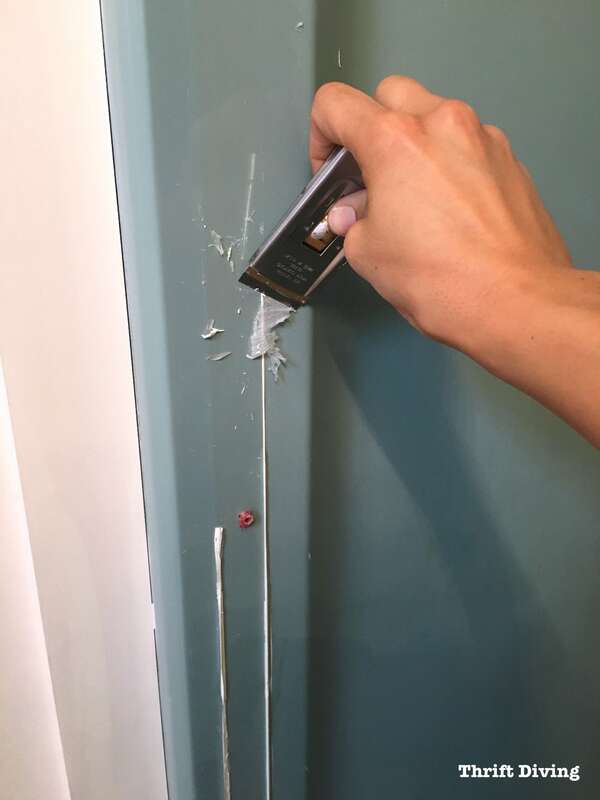 Now’s the time to tape off so that you don’t get paint on the surrounding surfaces. You do not want any water whatsoever in your shower or tub when you start wiping on the primer with a paper towel. My shower dripped a little bit, so I tied a plastic bag over the top and let any drips accumulate in there. A helpful tip is to use a blow dryer to make sure that there is absolutely no water left over in your shower. Use a paper towel to wipe the small liquid primer container on the surface. Now that the shower is cleaned, etched, wiped down, with the liquid primer smoothed on and dried, it’s time to mix the refinishing paint (A) and hardener (B) together. I just opened the hardener and poured it into the paint, stirred well, then shook it up and let it sit for 5 minutes. You want to make sure that the roller (which comes with the kit) is well-coated when rolling it on. Just be sure you don’t add too much, otherwise, you’ll get drips, like I did in some places. They’re not too noticeable but probably could have been prevented if I hadn’t loaded up the brush quite so full. The folks at BathWorks instructed me to work from left to right, and then move down. As you can see here, I started at the top and tried to work horizontally. Each section, I tried to slightly work back into that section, overlapping the previous section. Around curved parts, I turned my roller sideways to accommodate the curve. I did find that if I didn’t work quickly enough, the area above that was just painted would dry too quickly and I had some overlapping marks. 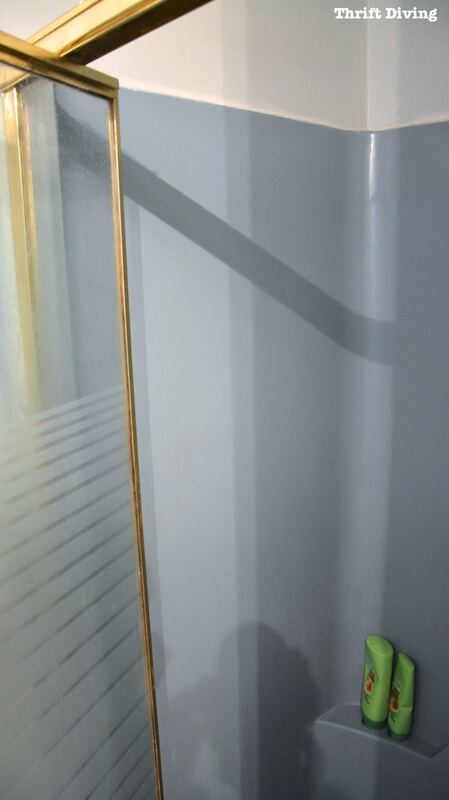 Nothing that was a serious problem and is only really noticeable when the light hits the shower in a certain way. Otherwise, the finish was smooth and effortless! I didn’t have any super intricate angles or parts to my shower, but if I did, they had sent me this aerosol sprayer that would have allowed me to load some of the paint into it and spray the paint in areas where the roller may not have reached very well. I didn’t need it, but it’s good to order this sprayer, as well, if you have those types of curves or hard to reach areas in your shower or tub. 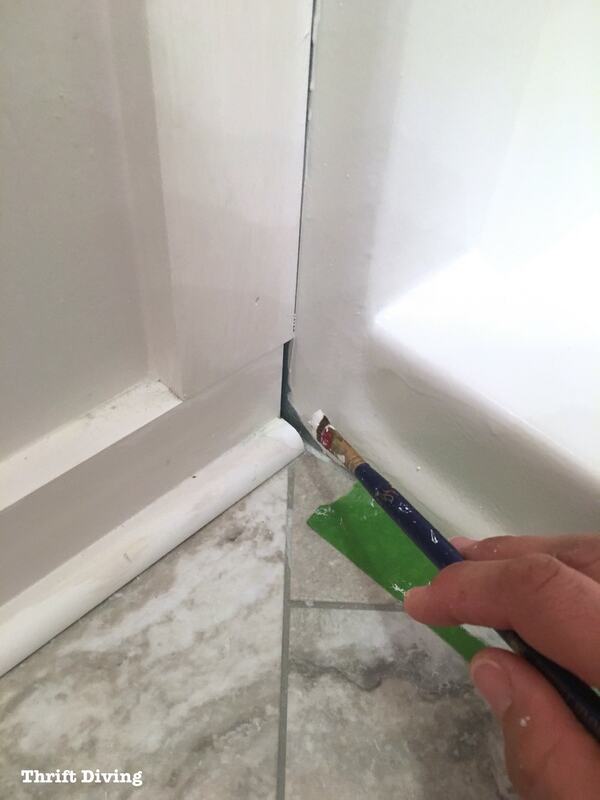 If there are any small areas that need coverage, like near the floor or in cracks and corners, use a small brush. I used the small sponge brush along the edge, as well. 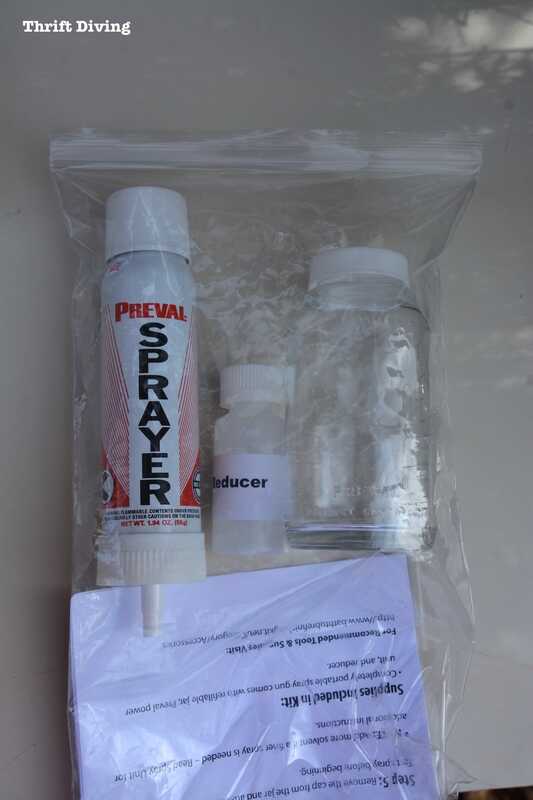 Some of the kits can be purchased with the non-skid additive that is added to a little bit of paint and then rolled onto the floor of the shower or tub. When it dries, it leaves a gritty texture that helps your feet gain some traction in what could be an otherwise very super slippery shower or tub! Finally, after two coats, it’s done!! You’ll want to let it thoroughly dry. You can remove the tape after 45 minutes. 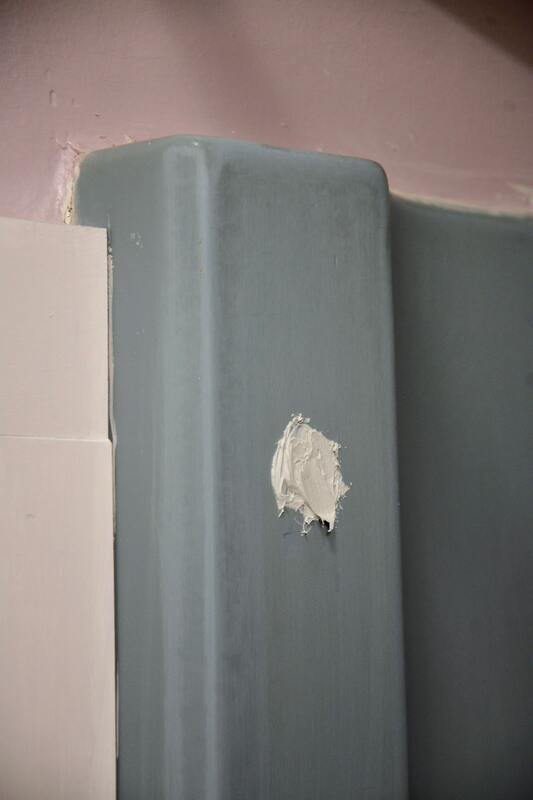 New caulking can be added after a day. Well, since BathWorks sent two kits at no charge, it didn’t cost me anything, which is great. But if you could see how much time it took me to do the project, create this post, and create and edit the video, I earned my keep. HA! Regardless of where you order it, spending just over $100 versus $6,000 for a new shower is no-brainer! But I didn’t realize was that the replacement handles would be a different size. Therefore, I was left with ugly turquoise green circles around the new faucets. 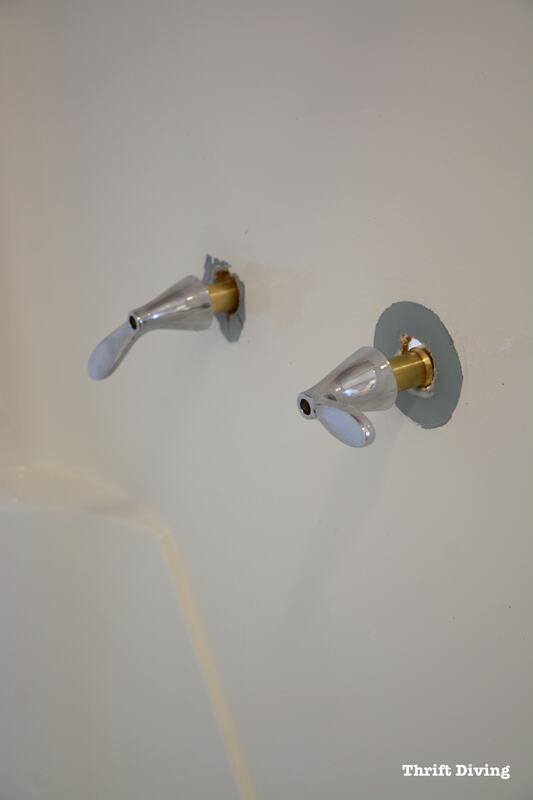 Be sure to remove all of your faucets so that you’re not trying to paint around them. It will be a cleaner finish. 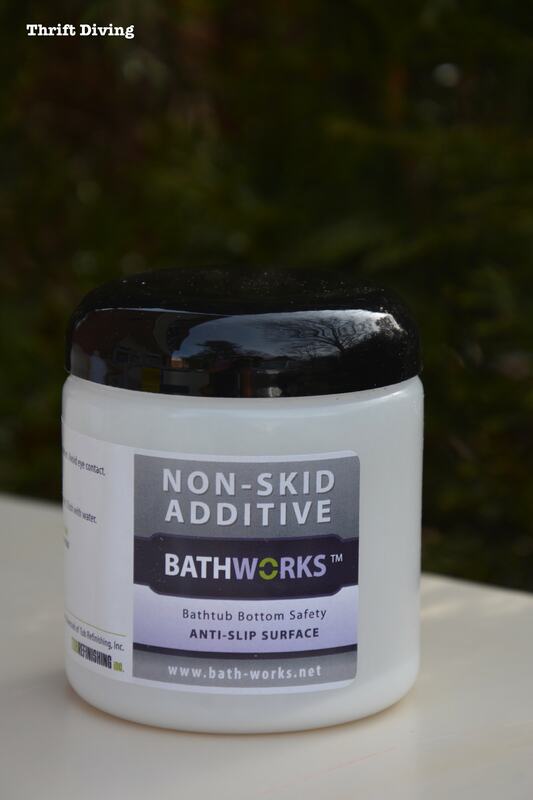 If things do go wrong, including any chips or imperfections that might happen that need touched up, BathWorks makes a touch-up repair kit. Thankfully, the touch-up kit was just what I needed to finish off the faucet area. 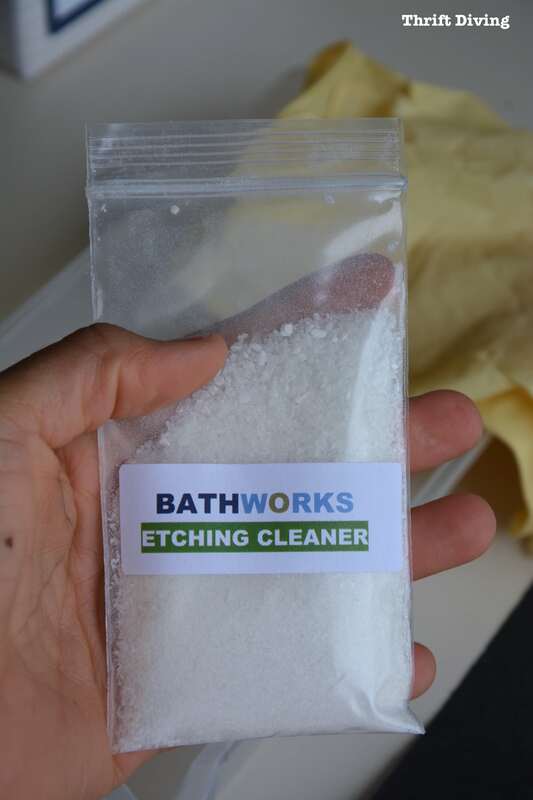 Bath-Works recommends any non-abrasive cleaner, such as Scrubbing Bubbles, Fantastic, or Liquid Ajax. Guess I better go stock up on some of those cleaners! I really can’t get over how much more clean and fresh the shower looks now! Since moving here, every day we showered here, we were reminded that the house is old and outdated. Not everyone can afford to pay $6,000 to rip out a shower and replace it with fancy metro tiles or some other amazing tile. Thankfully, there are solutions for budget-conscious people like us so that we can have a nice house, too. 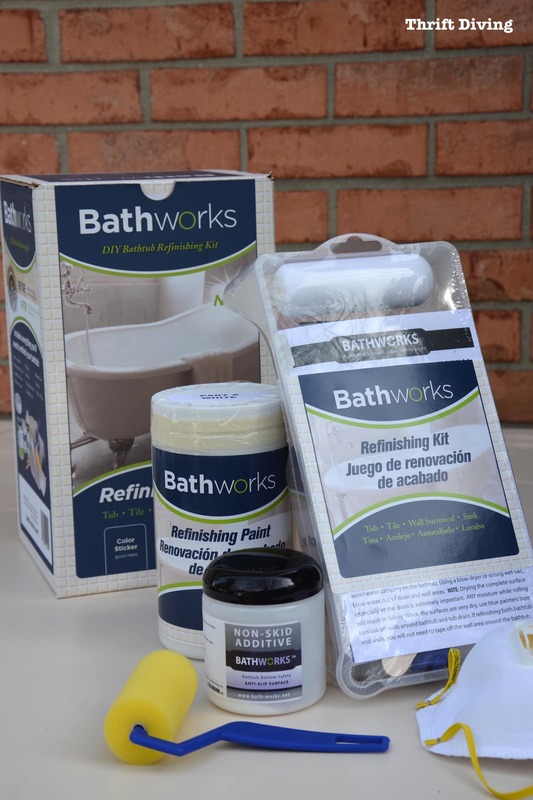 Big thanks to the folks at Bath-Works.net for allowing me to test out their awesome Bathtub Refinishing Kit! Cost-effective. For waaaaay less than ripping it out, you now have a fresh shower or tub in either white or almond. 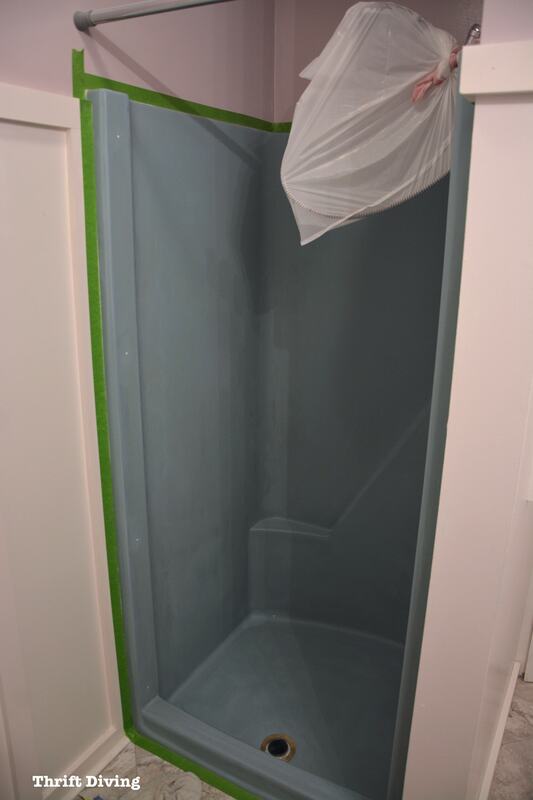 You don’t have to live with a horrible colored shower or tub anymore! Dries quickly. This can be done in a single day, usually about 2-4 hours, and it fully dries in 24 hours. 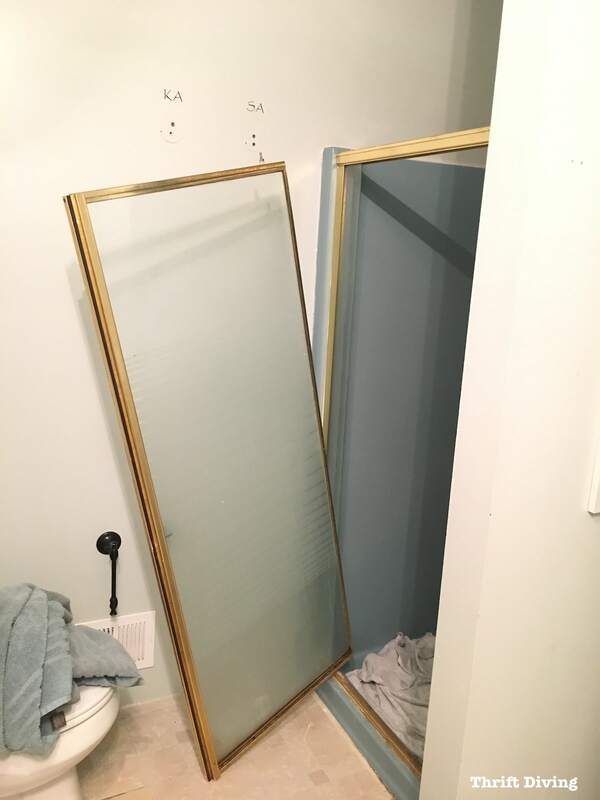 So you won’t have to be displaced from your bathroom for too long. Instant facelift. 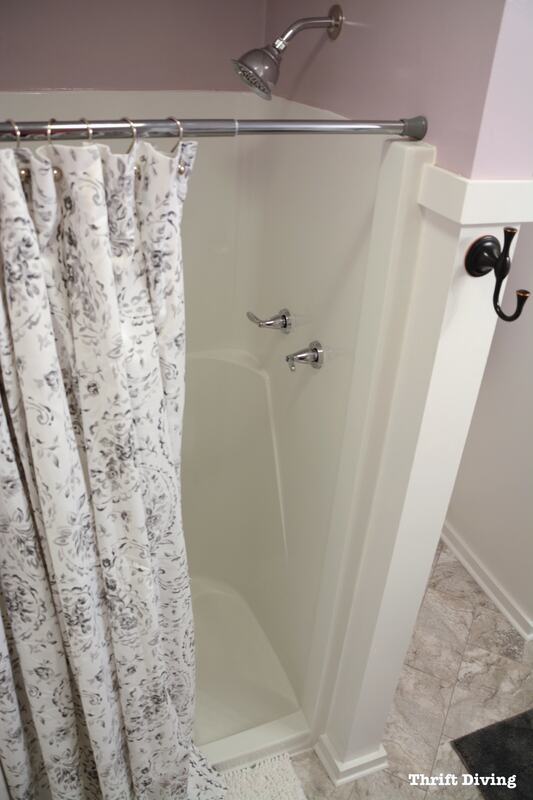 If your shower or tub is in good condition, but just a bad color, you can instantly give your bathroom a facelift just be painting it! Lasting results. 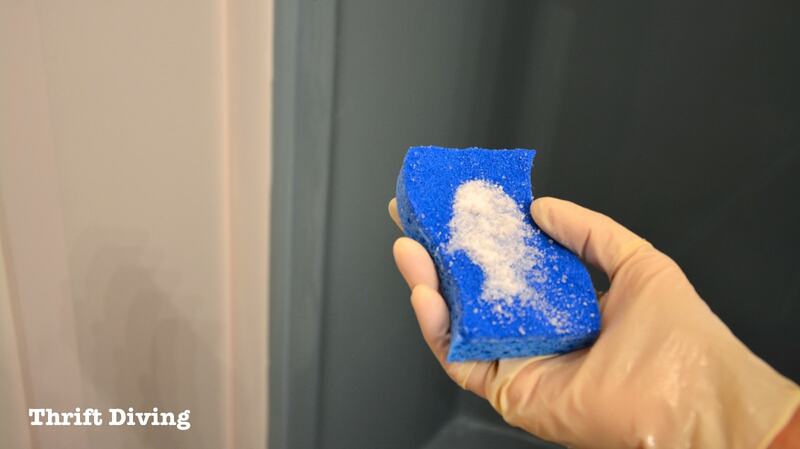 This is the exact same formula and kit that the professionals with BathWorks use for their clients, so I feel comfortable using the same thing in my home, knowing the results will last. Lots of bending and sanding. If you’re an older person or someone with disabilities, this might be a challenge, because it does require a bit of bending and sanding. The smell is strong. 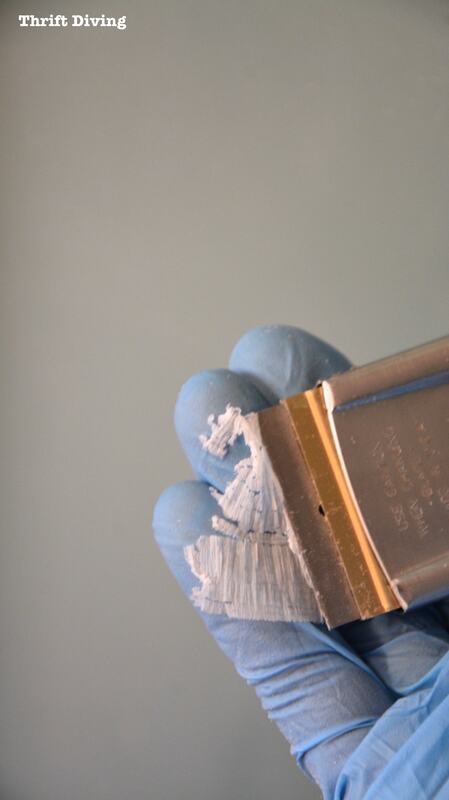 This is true for most types of refinishing kits for DIY projects around the home. The smell takes about 24 hours to dissipate. Clearly, the pros outweigh the cons. 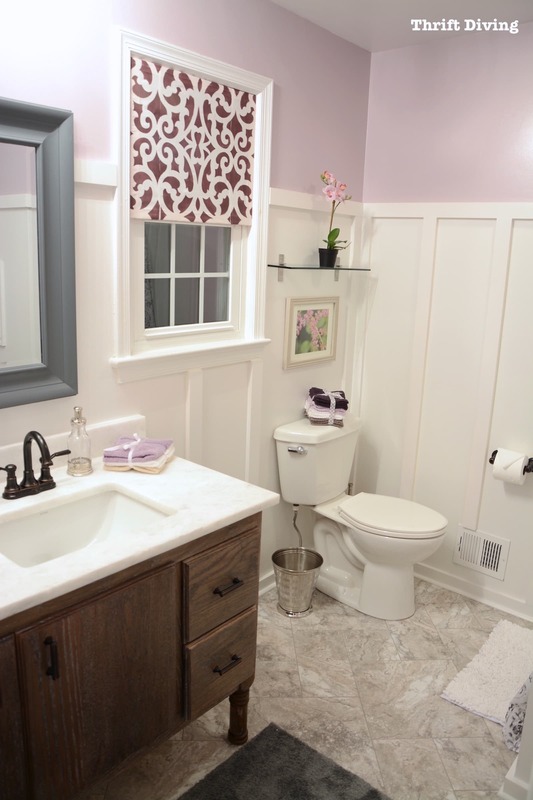 I think this is an excellent option for making your bathroom look great on a budget! 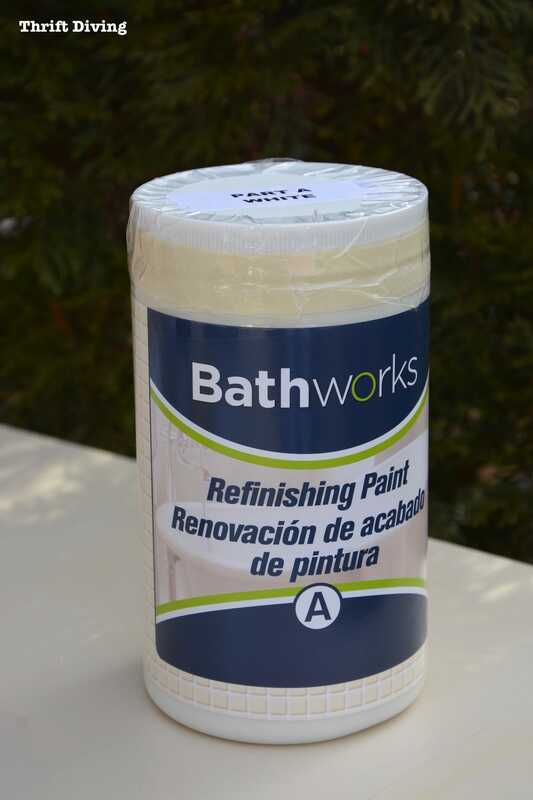 So Is BathWorks Right For Your Shower or Tub Refinishing Project? Well, that’s up to you to decide. But for me and my bathroom, it was the perfect solution for what could have been a very expensive problem! I’m 100% happy with the results and would do it again in a heartbeat! If so, then go ahead and SAVE IT for later! HI. I see you say to do 2 coats. 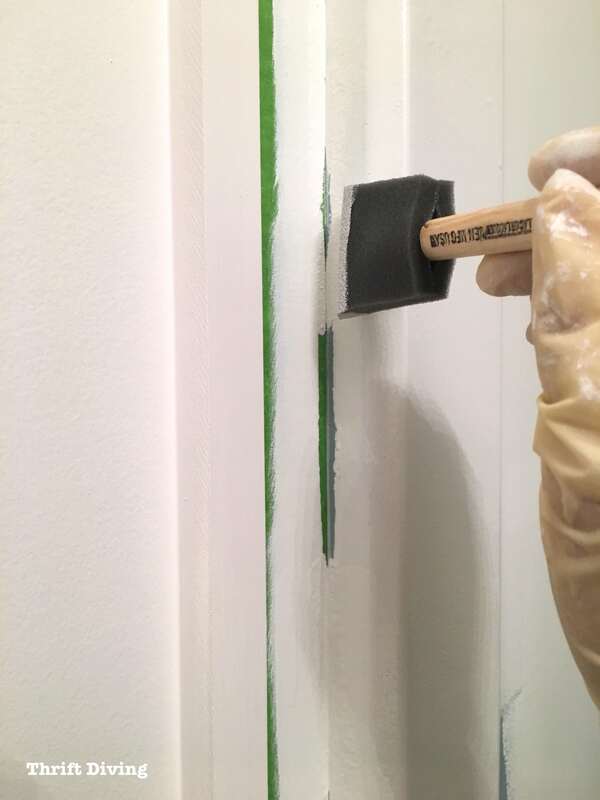 Do you just mix 1/2 of the paint and hardener at a time, or does it last till you do the second coat? Does the roller stay soft? Do you put it in a plastic bag? 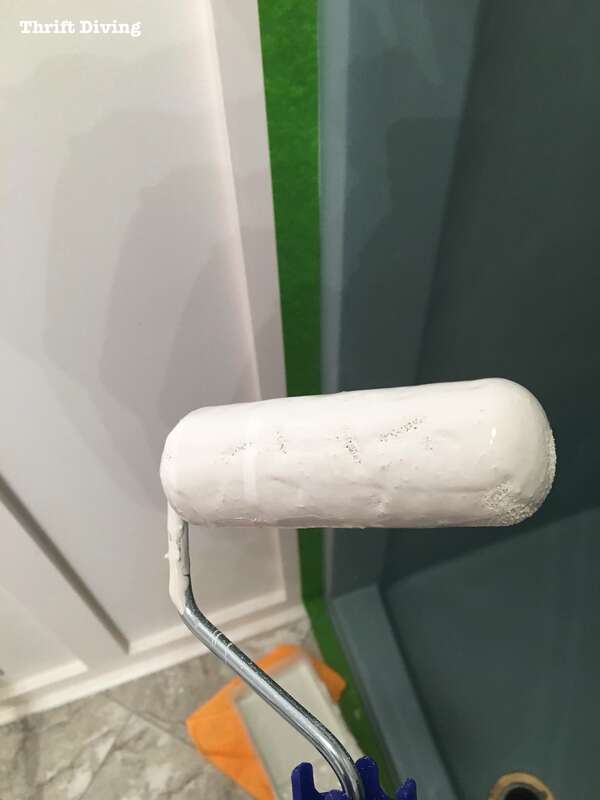 How long to wait between coats? Would this kit work on a tiled shower? Is cleaning first really necessary? Wouldn’t the sand paper scrub everything off? Thank you so much for sharing this kind of information. 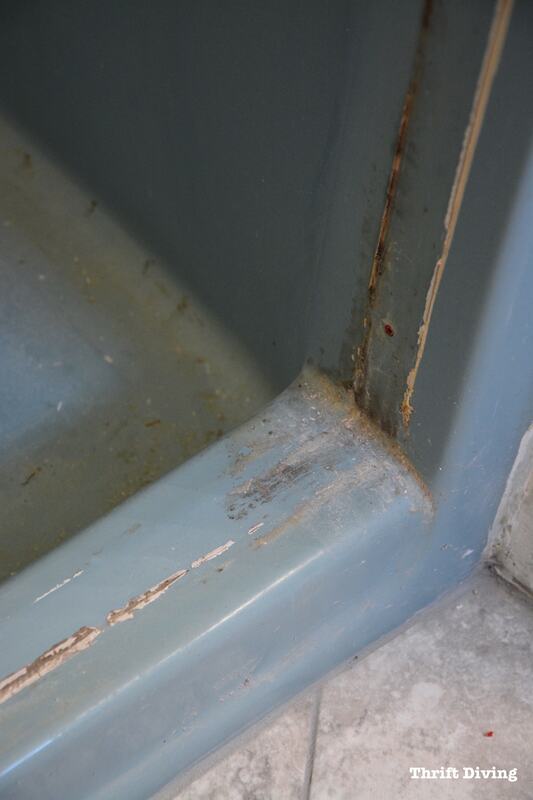 I also learn about tub reglazing services and I am sure that it will also help you. Extraordinary things you’ve generally imparted to us. Simply continue written work this sort of posts.The time which was squandered in going for educational cost now it can be utilized for studies. I like reading about bathtub reglazing contractors. Good blog! I really love how it is simple on my eyes and the data are well written. I am wondering how I might be notified whenever a new post has been made. You may try tub resurfacing companies. Intriguing post. I have been pondering about this topic, so much obliged for posting. Really cool post. 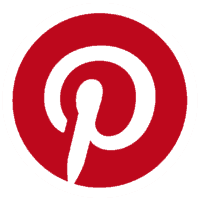 It”s truly extremely pleasant and Useful post. Thanks! 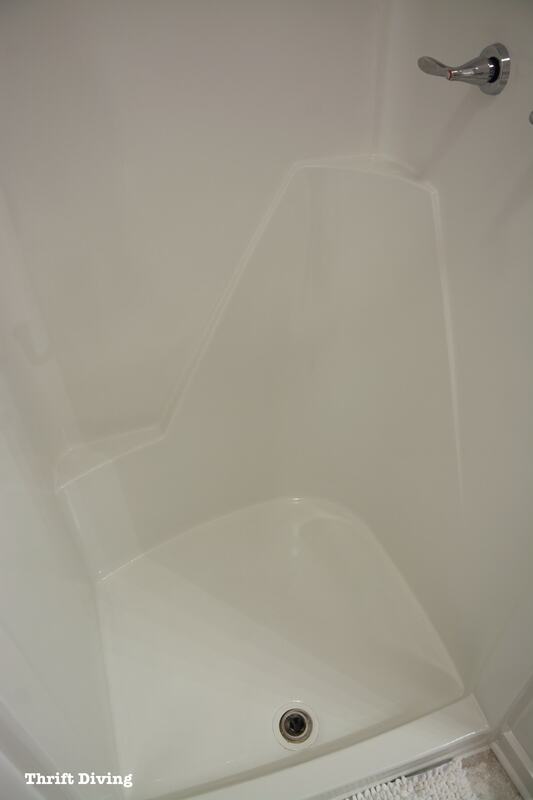 You can try tub resurfacing companies. Will this work for a tub/shower combo as well? Yep, this will work on a shower/tub combo. 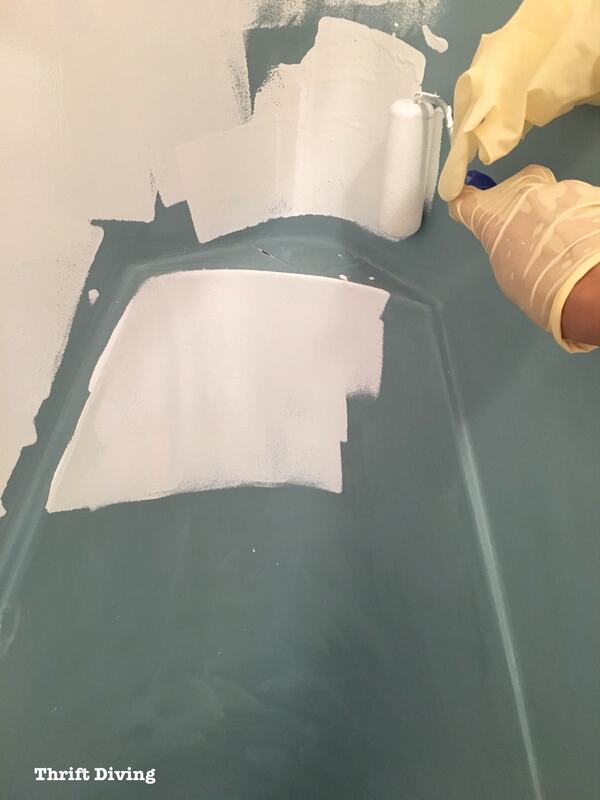 My neighbor’s tub was powder blue so I used this kit to paint hers, as well. The company, Bathworks, hired me to film this for their website and YouTube channel. It turned out really good, as well as mine did! How do you feel its held up. My fear is over time it will chip.